Newness that is the nature of God. New Jerusalem is holy, new, the foundation of peace, and heavenly because it is from God. God is holy; whatever is filled with God is also holy, not only in position but even more in nature. Likewise, God is the measure of newness; everything of God, with God’s life, is new; everything lacking the divine life is old, even dead. Furthermore, New Jerusalem is the foundation of peace because God is its peace. Apart from God, in the fall of man, there is no real peace and no possibility of peace. And New Jerusalem is heavenly because its substance is the divine nature, “the city was pure gold” (Rev. 21:18). Gold in the Bible represents the divine nature. All the characteristics of New Jerusalem derive from God Himself, from God’s accomplishments in Christ, and from God’s operation as the Spirit in the believers. The Triune God is the element, the substance, of the city. New Jerusalem not only comes “from God” but also comes with God. The city and God can never be separated. God is on the throne at the center of New Jerusalem, and God’s glory illuminates the whole city. 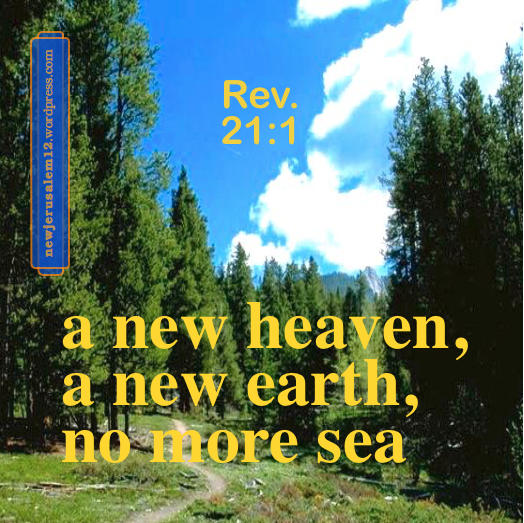 Revelation 21–22 present New Jerusalem to us. 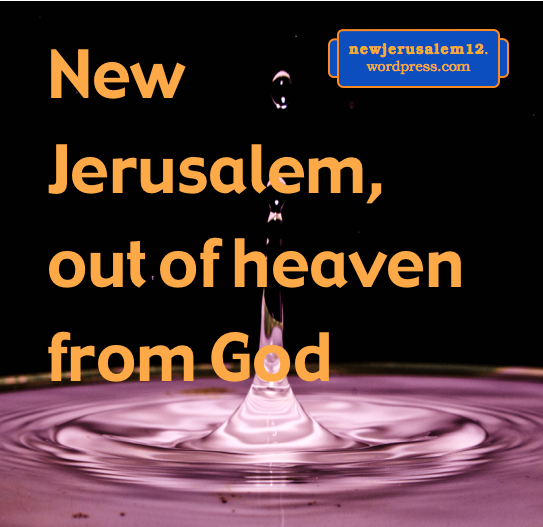 It is new compared to the Jerusalem from King David’s time to now, but in what way is it new? New Jerusalem is new because it is entirely in God and of God. This is the divine definition of new—everything in God is new but everything outside of God is old. Everything around us is old because the first creation has fallen away from God. The old creation is our old man in Adam (Eph. 4:22), our natural being by birth, without God’s life and the divine nature. 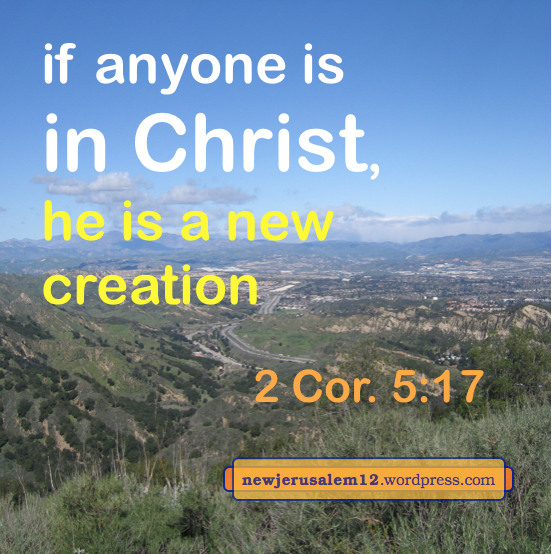 The new creation is the new man in Christ (Eph. 4:24), our being that is regenerated by the Spirit (John 3:6), having God’s life and the divine nature wrought into it (John 3:36; 2 Pet. 1:4), having Christ as its constituent (Col. 3:10-11), and having become a new constitution. The old creation was old because it did not have God’s element; the new creation is new because it has God as its element. Although we are still the old creation, we experience the reality of the new creation when we walk according to the Spirit (Gal. 5:16, 25). New Jerusalem is unchangingly new because it is constituted entirely with God’s life and nature wrought into our redeemed, regenerated, transformed, and glorified humanity. Revelation 19 has much to say about Jesus Christ Himself and His accomplishments to end this age, bring in the next age, and open the door for New Jerusalem to come down out of heaven. In verse 19:14, “The armies which are in heaven followed Him on white horses, dressed in fine linen, white and clean.” The white and clean garments indicate that these believers are approved by the Lord. These garments are not merely gifts to them. Rather, the garments manifest the believers inward condition and daily living. This clean living includes the cleansing of our sins, and also the transformation of our inner being. The first is the forgiveness by Christ’s redemption (Eph. 1:7). The second is accomplished by the washing of regeneration and renewing of the Holy Spirit (Titus 3:5) and also the purifying of our souls by our obedience (1 Peter 1:22). The garments qualify us 1) to attend the marriage dinner of the Lamb (Rev. 19:7-9), 2) to be part of His victorious army, and 3) to participate in New Jerusalem. Forgiveness of sins is a necessary step in becoming part of New Jerusalem, but it is not the only step. We also need the renewing of our inner being to match the newness of New Jerusalem. 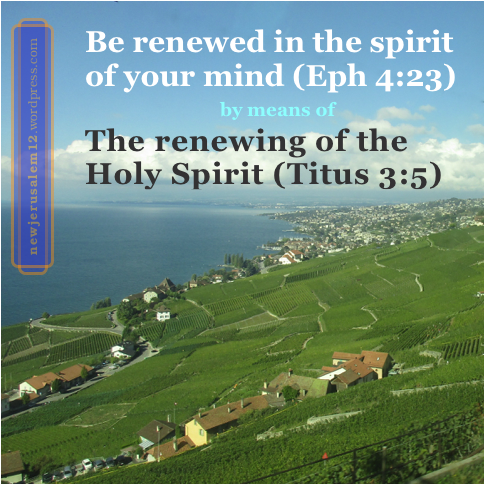 This is the renewing of our mind by the Spirit in our spirit (Rom. 12:2, Eph. 4:23). Those who are wearing white garments are on white horses. These match the white horse on which the Lord sits (v. 11). By the Spirit’s renewing, we are being renewed according to the Lord’s image (Col. 3:10), thus matching Him in many ways. We thereby become His expression now as the new man (Col. 3:10-11) and eternally as New Jerusalem. The new creation is new because God has been wrought into it; the New Jerusalem is new because it is full of God. In order to be part of the New Jerusalem—the new creation of God and for God—the believers in Christ need to be thoroughly and absolutely renewed (Rom. 12:2; Eph. 4:23). Since Christ Himself is the realm of newness, the New Jerusalem will be the ultimate consummation of Christ as the realm of newness and as newness itself. Christ is the realm of newness and because of this, “if anyone is in Christ, he is a new creation” (2 Cor. 5:17). To get into Christ by believing is to have a positional change from the old creation to the new creation. In the daily process of renewing (2 Cor. 4:16), God’s element of newness is added into our being to replace and discharge our old element, as the renewing Spirit (Titus 3:5) imparts the divine newness into our being to make us a new creation with the divine life and nature. Through this process of renewing, we are transferred from the realm of the old creation into the realm of the new creation to become the New Jerusalem (Col. 3:10; Rev. 21:2). First we believe into Christ to become the new creation in Him. Then the Spirit works within us throughout our Christian life to renew our whole being, including inward attitudes and outward living. This produces an organic transfer in us which brings us fully into the new creation for New Jerusalem. * Affirmation & Critique (A&C) is a Christian Journal published twice a year, © Living Stream Ministry. A&C presents Bible truths in a scholarly manner, with references to and citations from a variety of publications over the entire Christian era. A&C exhibits much appreciation for the person and work of Jesus Christ and our life with Him. This group of posts has short extracts from the article The New Jerusalem—the Consummation of the Divine Economy according to the High Peak of the Divine Revelation by Ron Kangas in the Fall 2010 issue. Here are a few more excerpts from the issue of Affirmation & Critique* focused on New Jerusalem. Each excerpt is tagged with the author’s initials and is followed by a related verse. All of these excerpts portray New Jerusalem as the consummation of God in Christ flowing into, being one with, constituting, and radiating out of His chosen people. * Affirmation & Critique is a Christian Journal published twice a year and available online. 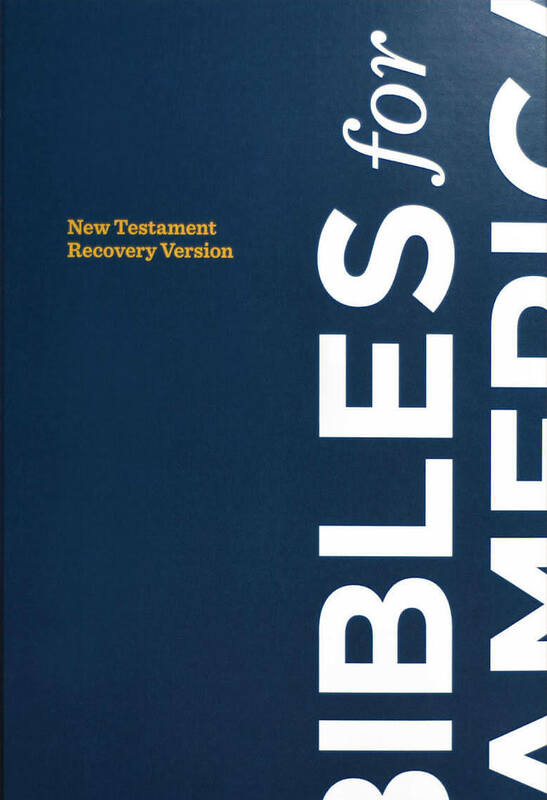 It presents Bible truths in a scholarly manner, with references to and citations from a variety of publications by authors over the entire Christian era. Affirmation & Critique exhibits much appreciation for the person and work of Jesus Christ and our life with Him. The Fall 2012 issue (Vol. XVII, No. 2) focuses on New Jerusalem. God’s eternal purpose was hidden in Him before time. It expresses His desire and points to New Jerusalem in eternity future. As presented in the first half of the song we are reviewing, God wants to dispense Himself into people to build them together in Himself for His glory and praise. God created all the plants, fish, birds, and animals according to their own kind (Genesis 1:11-12, 21, 24, 25). In contrast, God did not create man according to man’s kind; rather, God created man in His image (Genesis 1:26) because God created man especially for fulfilling His purpose, . The man created for God’s purpose has a human spirit as the center of His being. 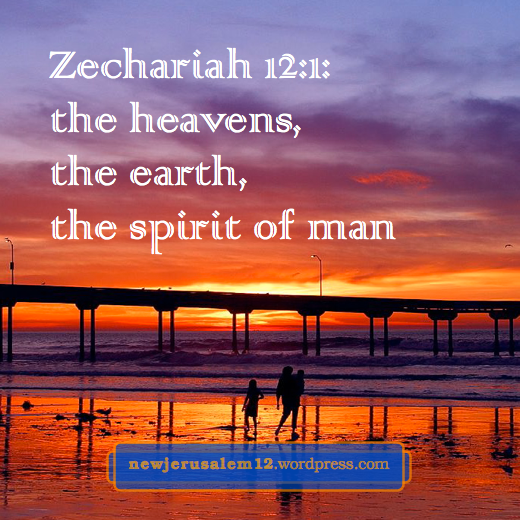 Zechariah 12:1 says, “Thus declares Jehovah, who stretches forth the heavens and lays the foundations of the earth and forms the spirit of man within him.” Here the spirit of man is ranked with the heavens and the earth. ____Makes our spirit one with His. ____Making home in all our heart. The first action God takes in us to fulfill His plan is to enliven our human spirit. This is to be born again, to be regenerated. John 3:6b says, “that which is born of the [divine] Spirit is [our human] spirit.” This regeneration is our first experiential step towards New Jerusalem. This renewing by the Spirit (Titus 3:5) in our spirit makes us divinely new to match New Jerusalem, the consummation of all the newness in the Bible. Our Father, Thou Art Forever New ! “He who sits on the throne said, Behold, I make all things new” (Revelation 21:5). Only God can make all things new. We are already new in Christ (2 Corinthians 5:17); corporately we are the new man in Christ and we are being inwardly renewed to His image (Colossians 3:10-11). Ultimately everything God has done will be displayed in the new heaven and new earth with New Jerusalem at the center. ____Thy freshness as the dew. The fourth verse of the hymn speaks about us. We are a new creation and we have a new spirit and new heart, which were promised in Ezekiel 36:26. ____New life Thou dost impart. The fifth verse includes the new heaven, new earth, New Jerusalem, and the tree of life bearing twelve fruits (Revelation 21:1-2, 22:2). ____For all is newness there. Eternally New Jerusalem will manifest the ever new God with His thoroughly renewed people as God’s masterpiece in the new creation. * author: Witness Lee, composer: George F. Root, words, music. God Himself is the definition of newness and the standard for newness. New Jerusalem is divinely new and eternally new because it is saturated with God. In the human realm we call many things new but they get old quickly. What was “new” last week or last year or last decade becomes broken or traded in or thrown away or no longer in style. Human “newness” is very fleeting. • In Luke 5 the Lord spoke about Himself as the Bridegroom and added a parable about a new garment and new wine. He is the reality of this parable as the new garment to cover us and the new wine to fill us. • On the cross Jesus Christ created in Himself one new man (Ephesians 2:15). The crucial matter is, Where are we? To be in the new man we must be in Christ. • “If anyone is in Christ, he is a new creation” (2 Corinthians 5:17). Again, Where are we? If in Christ, we are a new creation; if not in Christ, we are in the old creation. • “He who sits on the throne said, Behold, I make all things new” (Revelation 21:5). Only God can make things new according to His definition of newness. Although God was present at times with people in the Old Testament Jerusalem, that city was neither in God nor constituted with God’s essence. Hence it was not new. In contrast, New Jerusalem is of God, in God, and constituted with God. Thus it is new and will remain eternally new as the consummation of all the newness in the Bible. 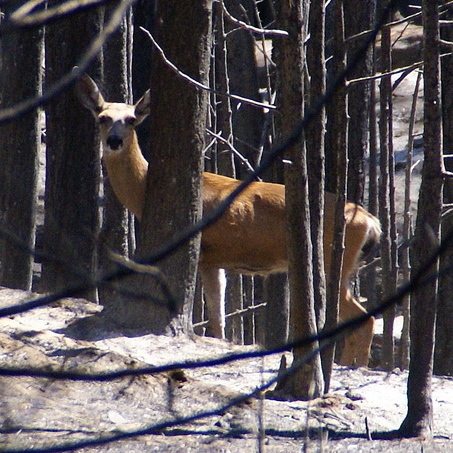 Photo by Louis Haynes, courtesy of U.S. Forest Service, Creative Commons 2.0. In April there was an international meeting of Christians with the subject, Aspects of the Christian Life and Church Life Seen in the New Jerusalem. Following that time, the eight messages became the basis for eight weeks of a book with daily verses and reading portions. 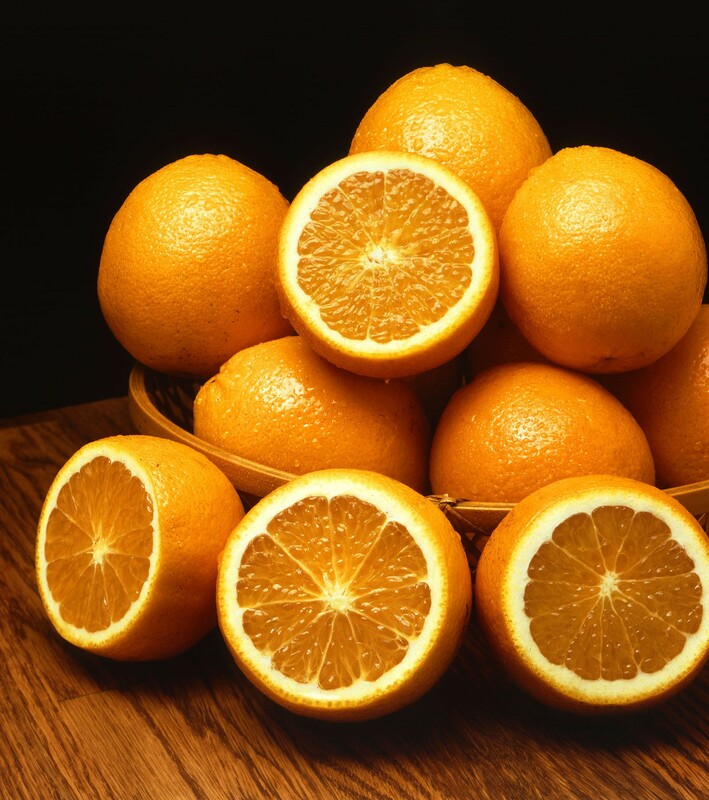 Daily enjoyment from those portions was posted by Stefan at A Normal Believer in Christ. Whenever we Enthrone God in our Being, we Enjoy the Flow of Water of Life Within us! Christ is Coming to be Glorified in His Saints: He is in us as the Hope of Glory! Stefan – thank you for presenting this to all of us! New Jerusalem is the living conclusion of everything positive in the Bible. 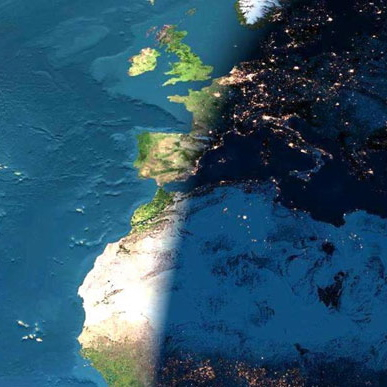 Four recent posts identified some key elements in this conclusion, then three posts focused on New Jerusalem as the conclusion of all the newness in the Bible. In reading John 17, I was stirred to look at New Jerusalem as the consummate glory in the Bible. Historically, the first clear reference to glory seems to be in Acts 7:2—the God of glory appeared to Abraham. Lord, appear to us and attract us to follow You as Abraham did. God’s glory is praised in Exodus 15, after Israel crossed the Red Sea and Pharaoh’s army was drowned. This indicates that the redemption of the Passover, along with our exodus from the world and its power, releases the glory of God. In New Jerusalem we will still celebrate redemption, praising the Lamb on the throne. And we will be separated from the world and its power which are in the lake of fire. Lord, thank You for Your redemption and for bringing us out of the world. God’s glory appears several times in Exodus. At the end of Exodus, when the tabernacle was completed, the glory filled it. When Solomon’s temple was inaugurated (1 Kings 8), the glory filled it. 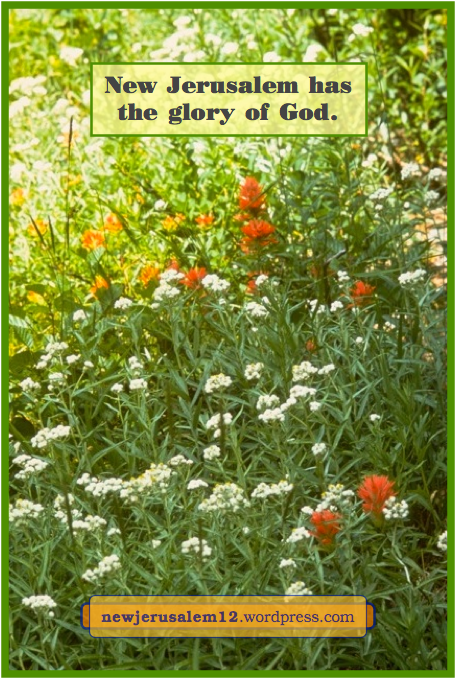 The glory also filled the restored house in Ezekiel 43. In Haggai 2 it is prophesied that the latter glory will exceed the former. How much more will the glory fill New Jerusalem! Lord, operate in us to complete Your New Testament building work. God’s glory appeared to all the people when the priestly service was initiated in Leviticus 9. How much more when all God’s people serve as priests in New Jerusalem! Psalm 8 is a praise and a prophecy about Jesus; both involve God’s glory. Psalm 24 also praises the Lord as the King of glory. Other verses also mention the glory. The visions in Ezekiel 1 conclude with an open heaven, a throne, and a man on the throne. He tells us that this is the appearance of the glory of the Lord. Eternally, in New Jerusalem, we will see an open heaven, the throne of God and of the Lamb, and the glory of God. New Jerusalem, the consummation of every positive matter in the Bible, is the consummate newness in the Bible. Besides the “new” matters touched previously, New Jerusalem is eternal reality of the new man. Adam was a man created by God for God’s purpose. When Adam fell from God, he and all his descendents became the old man. Later God came in the man Jesus to redeem us from the old creation and to bring us into a new creation. Ephesians 2:15 tells us that on the cross Jesus Christ created a new corporate man in Himself. 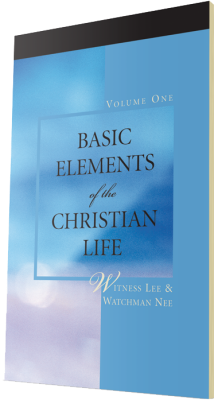 This new man is not separate from Christ; it is in Him and He is the new man’s element and life in us. Colossians 3:10 tells us that we “have put on the new man.” This same verse tells us that the new man “is being renewed unto full knowledge according to the image of Him who created him.” The fact is that we have put on the new man; the experience is that the new man needs to be renewed by Christ’s newness saturating us day by day. This renewing takes place by the operation of the Spirit in our spirit that we may be “renewed in the spirit of our mind” (Ephesians 4:23). 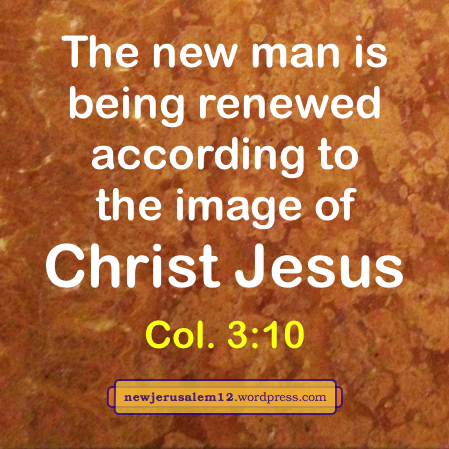 According to Colossians, this renewing is “according to the image of Him [Christ] who created” the new man. In Colossians 1:15 Christ is the image of the invisible God. Thus, the renewing of the new man brings forth the image of God in Christ, the image which ultimately and eternally is displayed by New Jerusalem.